Spring women’s suffrage movement news notes & videos at Suffrage Wagon Cafe! 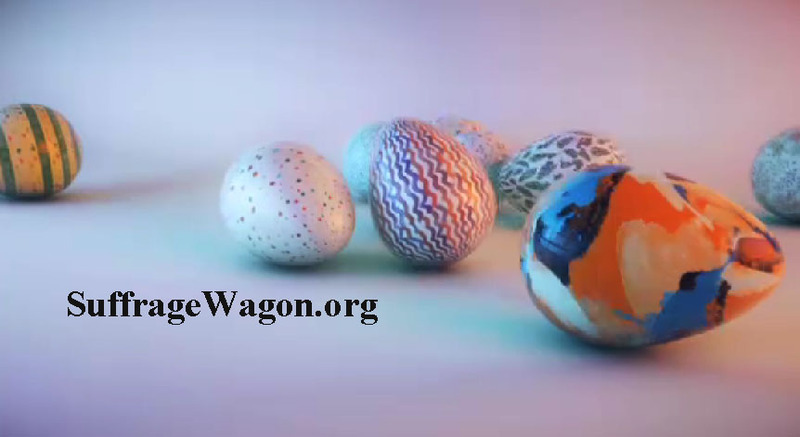 Spring greetings from Suffrage Wagon News Channel! on Vimeo. From our archives: Video in support of suffrage documentary on Vimeo. We’ve come a long way since Suffrage Wagon News Channel started publishing in 2009. Back then, articles about the women’s suffrage movement were few and far between. Now, there’s so much going on, it’s difficult to keep up with the events, news articles, conferences, and celebrations. The State of New York has gone viral in promoting its suffrage centennial in 2017 with videos and web postings. Even Vogue magazine is in the act discussing colors the suffrage activists wore (white with accenting colors). This trend started with Hillary Clinton wearing white during her presidential campaign, followed by Congressional women. In all instances the women’s suffrage movement was cited. African-American women’s activism history is being dragged out of the forgotten history. Nashville, Tennessee has renamed a street as Anne Dallas Dudley Boulevard. And there’s much more. Here at Suffrage Wagon News Channel we follow the trends and highlight the suffrage campaign wagon used by Edna Buckman Kearns. It was on exhibit in 2010 at the New York State Museum as well as the New York State Capitol building in 2012. Now during 2017, the “Spirit of 1776” was displayed during March at the State Capitol. It is now at the state museum in Albany, NY to bring attention to the women’s exhibit opening on November 4, 2017 and running until May 2018 when the wagon will be part of a much larger exhibition. Here at Suffrage Wagon Cafe, we’re making available a video of years ago informing readers and viewers about a Kickstarter campaign we sponsored to raise money for our suffrage video educational program. Over the years, the “Spirit of 1776” wagon, everyone associated with it, and the wagon’s fans have been the focus of articles and features in publications across the nation. Our digital quarterly newsletter subscription list has grown. We circulate news on social media. And the number of videos to promote the wagon and the news channel is growing, thanks to a seed grant from the Puffin Foundation. Celebrate women’s freedom to vote by following the suffrage wagon. Safiya Bandele will receive a Lifetime Achievement Award on May 19, 2017 at a fundraiser for the Magnolia Tree Earth Center. Bandele was a Medgar Evers College professor and director of the college’s Center for Women’s Development until her retirement after more than three decades. “Oldies but Goodies for the Magnolia Tree Earth Center” is the event scheduled for the Brooklyn Masonic Temple. The Magnolia Tree Earth Center of Bedford-Stuyvesant, Inc. was founded in 1972 by Hattie Carthan, a resident of Bedford-Stuyvesant, who was among the nation’s first African-American community-based ecology activists. Bandele is available for performances honoring the life of suffrage activist Ida B. Wells. Tickets to the event are $50. Order through the website, magnoliatreeearthcenter.com. The Alice Paul Institute in Mt. Laurel, NJ (128 Hooton Road) is presenting an introduction to feminism on Saturday, May 13, 2017 at 2 p.m.—$5 or free with tour admission to Paulsdale, the home of suffrage activist Alice Paul. Their leaflet describes the program: “What do feminists want? Don’t women in the U.S. have it better than women in other parts of the world? Learn about the issues that affect American women today and how women are trying to solve them.” Kris Myers will present. Videos about the women’s suffrage movement are available from the news channel. Suffrage Wagon News Channel headlines and events! 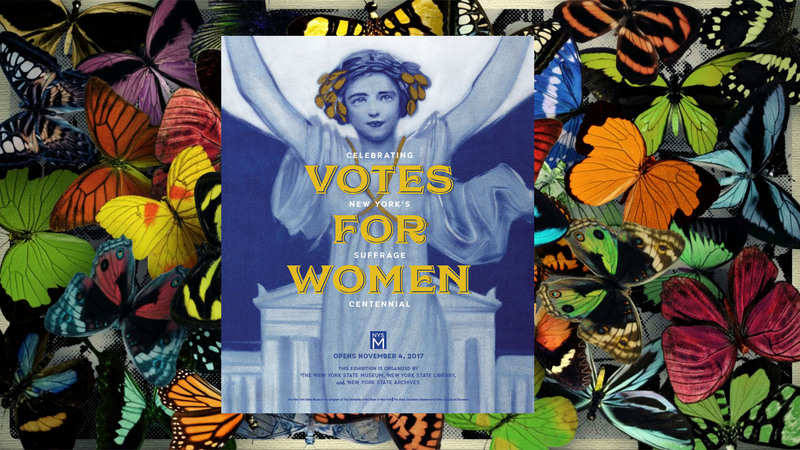 We Love New York, women’s suffrage news notes, & upcoming coffee demonstration!